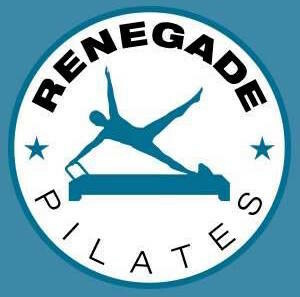 Renegade Pilates is a boutique fitness studio featuring small group reformer classes. Our Traditional Reformer classes provide a mind-body, core intensive workout while focusing on building long, lean muscle and maintaining proper alignment. Looking for an intense mixture of cardio, weightlifting and Pilates? Our Renegade (Bootcamp) Reformer classes are sure to make you sweat with our super S-L-O-W burning moves and quick transitions that will sculpt your body fast. Our Long and Limber Reformer workout is the perfect mix of Traditional Reformer and stretching. Also try our S-T-R-E-T-C-H It Out Saturdays for the perfect weekend stretch. Pregnant students, please call us at 786.423.6027 before your first class. Enjoy our beautiful outdoor space before and after class. See you at the studio! This studio and Leslie &amp; Galina are the best! Galina is attentive, technical, knowledgeable and overall very professional. Love her classes! First time in a Pilates class and Leslie was very informative and patient. The space is absolutely beautiful, a hidden gem!! Excellent class!! Cute boutique studio. Very welcoming and kind instructor!